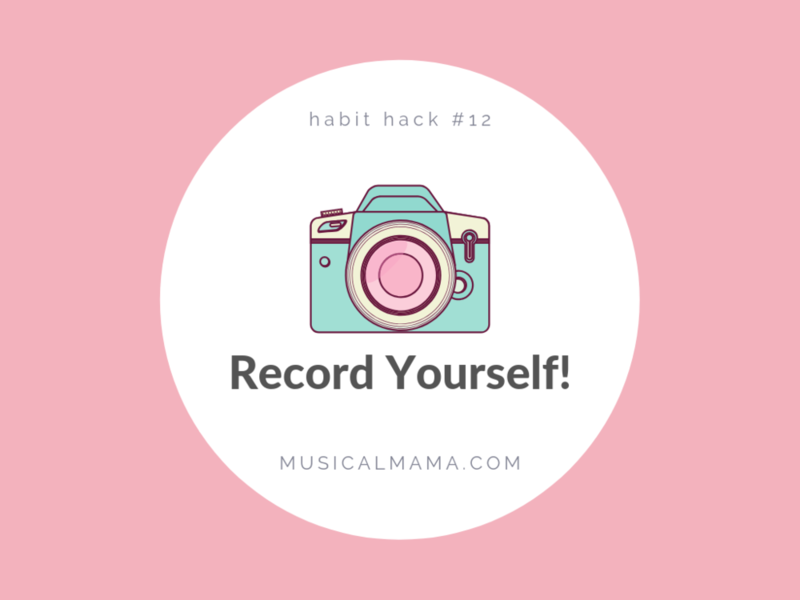 Think of today’s Habit Hack as a gift for your future self—record yourself playing your uke. Make a new video every week or two and track your progress. Unless you’re used to performing on camera, you’ll probably feel completely self-conscious, but like anything else, the more you do it the more comfortable you’ll become. Watching yourself play might show you things you otherwise wouldn’t have noticed. Perhaps you’ll realize that you’re slouching, or playing at an uneven tempo, or not making a chord change as smoothly as you thought you were. Use the video to help you figure out what you’re doing well and what could use some improvement. Then spend some time practicing, and make a new video! Need some inspiration? Years ago I bought a banjo and recorded myself learning a piece from the bible of banjo books—Earl Scruggs and the Five-String Banjo. I recorded it back in 2012, before I had really started playing the ukulele. Watching it now, I can see that my main issue is my speed—I’m playing faster than I can manage because I can get impatient when I’m learning new things (can you relate?). PS: If you’re not interested in making videos, at least capture yourself in an audio recording! iPhone users can record audio using Voice Memos; Android users can download the free Sony Audio Recorder app.